This product is ideal for use on all interior projects including furniture, cabinets, doors and trim, floors and panelling. Eco Wood Treatment is a highly effective wood treatment that beautifies outdoor wood for a life time of enjoyment. Apply product to bare, untreated wood in one easy application. Unnecessary to scrape, restain or worry about fading or peeling after the one application. Color will mature to a beautiful velvety silver. 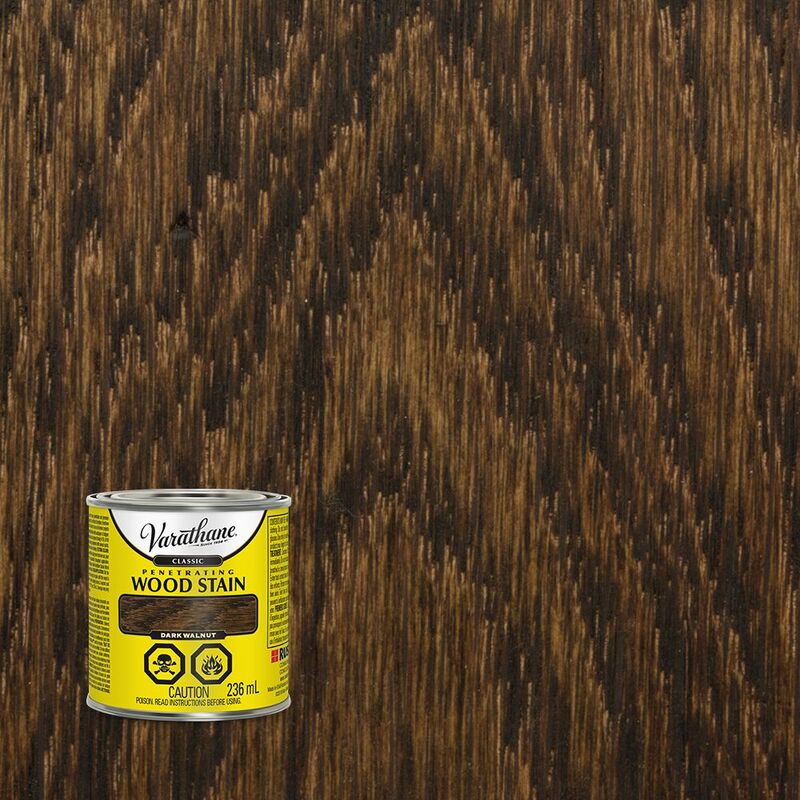 Varathane Classic Penetrating Wood Stain Dark Walnut 236ml VARATHANE Classic Oil-Based Penetrating Wood Stains are formulated with a unique base for deep penetration and premium pigments for clear colour. This results in a deeper, richer and more natural colour for your wood projects.